Geospatial data is data that identifies a geographic location on Earth, such as natural or constructed features, oceans, and more. Geospatial data is data that identifies a geographic location on Earth, such as natural or constructed features, oceans, and more. The data is generally stored as coordinates and topology and can be mapped. Geospatial data is all around us and it is growing at a staggering pace of 20% per year. McKinsey Global Institute estimated that location data level stood at 1 petabyte in 2009, excluding data from RFID tags. Geospatial data is created by a vast array of different applications such as satellites, digital cameras, wearables, smartphones, radars, sensor networks, cars, trucks, trains and other transportation. With trends such as the quantified-self, the Internet of Things and the Industrial Internet the amount of geospatial data will grow exponentially in the coming years and you can harness this data to better serve your customers. Geospatial data are used in a Geographic Information System (GIS), which can be defined as an information system that is used to input, store, retrieve, manipulate, analyse and output the geographically referenced data. There are several important elements to a GIS and these include Attribute data, which means the information that is linked to the spatial data. Data Layers, which is the result of combining spatial data and attribute data and it means for example the attribute data shown on a map. Layer types refer to how attribute data and spatial data are connected. There are two possibilities: vector, meaning a graphical representation with points, lines or polygons. The second is raster, meaning representing data using a grid where each cell in a grid has a certain resolution (from sub-meter to kilometres). Finally, Topology, which is a key element and is a set of rules and behaviours that model how points, lines, and polygons share coincident geometry. Topology is used to ensure data quality as well as for analysing spatial relationships. Analysing geospatial data is called spatial analytics. 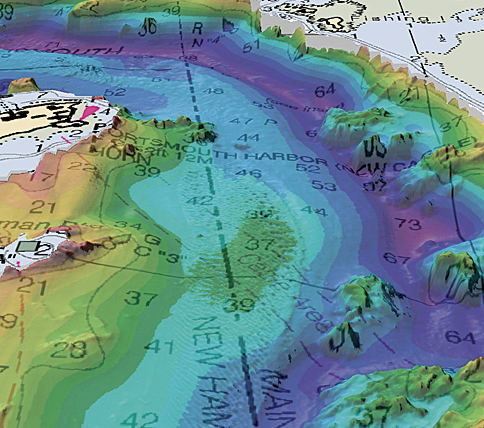 Spatial analysis is done to answer questions about the real world including the present situation of specific areas and features, the change in situation, the trends, the evaluation of capability or possibility using overlay techniques, modelling and/or predictions. Spatial analysis ranges from simple arithmetic and logical operation to complicated model analysis. Geospatial analysis offers many possibilities for organisations. It can be used to show social media activity on a map during an environmental crisis. Mapping tweets, posts or blogs to a certain location can help relief workers know where they have to be. For example, during Hurricane Irene, which struck the American East Coast in 2011, many of such tools where used to gain a better picture of the damage that had been done by the hurricane. But also insurers use geospatial data during disasters to monitor the financial impact and deploy claim adjusters. It helps them also to combat fraud as they can check whether someone really was in the disaster area. Telecom organisations can use geospatial data to monitor if someone who has moved and shows an increase in drop calls is likely to churn, as did T-Mobile USA. Also the energy industry can benefit massively from geospatial data when they map data from smart meters on a map to see how the energy consumption in different areas evolve over time. When performing a spatial analysis on that data it can show what the effect of high-energy consumption can be on equipment located in that same area. Finally, it can of course be used to offer location-based services to customers ranging from mobile advertising that appears when a potential customer is close to your shop or helping you find a parking spot in San Francisco. One of the big data startups that deals with geospatial analytics is SpaceCurve. The technology that SpaceCurve is developing can discover underlying patterns in multidimensional geospatial data. They have developed a completely new way of massive parallel analytical database technology. SpaceCurve’s algorithm can index geospatial polygon data in real-time as well as analyse social and semantic graphs on very large parallel systems. This analytics will provide valuable insights for organisations to make better decisions. Another big data startup dealing with geospatial data is Loqate. Loqate claims to be the world’s most complete global geocoding engine, enabling a latitude-longitude co-ordinate to be added to any address to ensure quality. They have developed several products to parse, standardize, verify and clean address data from all over the world. Each address can receive a latitude-longitude coordinate so the address can be and entered into Geographic Information Systems or used in Location Based Services. Geospatial data offer a lot of possibilities for organisations to enrich their services for their customers or to help make better and smarter decisions. A geographical representation of your (company/customer) data can clarify a lot and bring you new insights that could seriously impact your business positively. So, when developing a big data strategy, do not forget to incorporate your geospatial data, as it will provide you the direction needed to distinguish yourself. Image Courtesy of: Esri Copyright Big Data Startups 2014. You may share using our article tools. Please don’t cut articles from BigData-Startups.com and redistribute by email or post to the web.